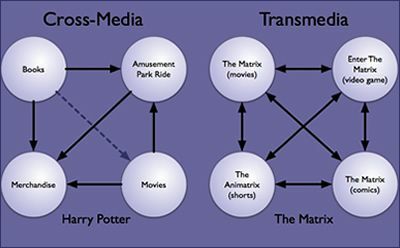 A conversation recently unfolded on Twitter about Transmedia Storytelling, in which author and transmedia storyteller Andrea Phillips joined in, adding an interesting wrinkle to the discussion. The context you may be missing: there’s a long tradition of using social and digital media as if they were a real thing — people or organizations on FB, Twitter, LinkedIn. Andrea then shared this Ted-style talk she did on this topic, and I think it is worth viewing, if only to remind ourselves that there is a fine line between reality and story, and between responsibility and creativity. 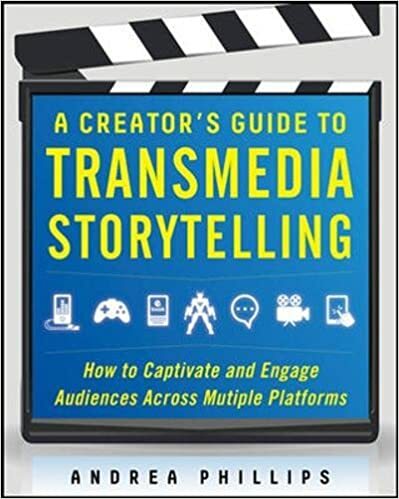 Meanwhile, I got Andrea Phillip’s book — A Creator’s Guide to Transmedia Storytelling — out of the library and dove in last weekend, reading as she shared her experiences as creating Transmedia experiences and interviews with others. She brings a lot of great insights into the mix. I enjoyed the inside look, although I came away with the notion that Transmedia pieces are mostly geared towards selling a product — a movie tie-on or a commercial aspect or marketing campaign. Perhaps this is because that is her job — and if companies are the ones paying your fees, you make what they want you to make — but it struck me as unsettling, that my naive idea of “story for the sake of story” might be out of sync with the world. This entry was posted in Digiwrimo, NetNarr, Technology Resources. Bookmark the permalink. I’ve saved the TEDx talk to watch later. On a tangent–One aspect of nonfiction transmedia is that it can be exhausting and distracting to keep up with. We are encouraged to take pictures and tweet out and post…but frankly, when I’m in the middle of a lesson, advertising it is not a priority. So much of media is fascinating, I don’t mean just the content that makes it, but how it works in ways we cannot directly see or immediately. I am a storyteller and even though I write about real people and places, a lot of it definitely involves my interpretation of situations and meanings. I have a history PhD friend who told me that history is a lot of interpretation. Even our pasts, the memories of our present selves by as remembered in the past, involve a lot of interpretation. This is like a rabbit hole for me.